Create a purpose beyond profit in your business. partnerships that deliver real impact. There are many ways you can partner with us to make a positive impact to the impoverished communities we work with in Africa. Your team can make an impact wherever you are. 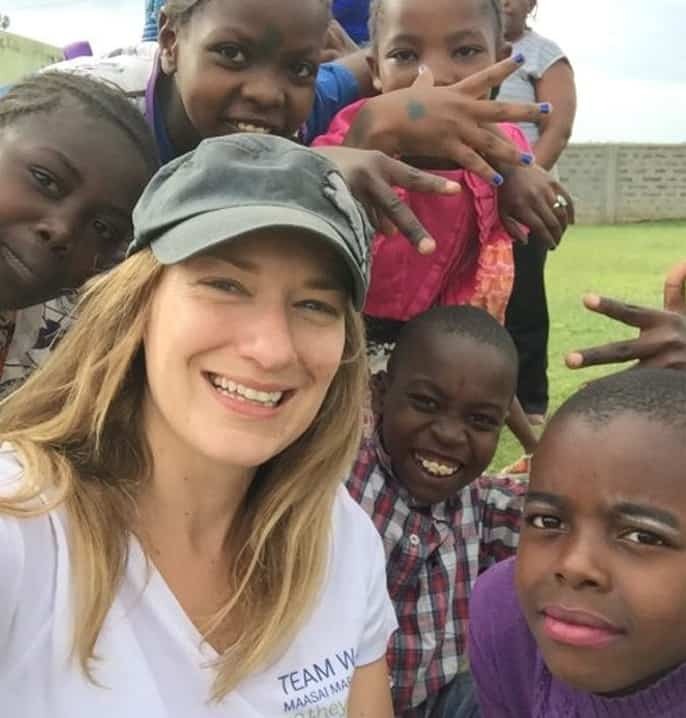 You can visit and volunteer at our projects in Kenya and Tanzania, join our CEO Cassandra Treadwell on a Business Immersion Trip or experience the ultimate team building challenge to climb Mount Kilimanjaro, Mount Kenya or run the Maasai Mara Marathon! Staying closer to home, your partnership can support our sponsorship program and connect your team with a classroom of students at one of the 36 schools we support in East Africa. Or, we can help your team run, swim or ride to meet your fundraising goal. Partnering with us offers a meaningful and tangible opportunity to give back and experience the reciprocity of giving that enriches all our lives. Leading Australian insurance law firm, Wotton + Kearney, partnered with So They Can to make a positive impact to the lives of children living in poverty in East Africa. Share Cass’ love for Africa and its people and see how working collaboratively to empower impoverished communities through education is changing thousands of lives for the better. Meet the communities we work with and experince first-hand the ongoing impact of our education projects in Kenya and Tanzania. Spend time with Cass and our passionate and professional team on the ground and hear directly from community members on how, through education and training, there is hope for a poverty future.